Through this website and blog it is my hope to offer news bits about current graphic design challenges (my own and others) as well as fine art news. To continue with the theme of my new book, "Graphic Design Exposed," this blog will expose the development of graphic design and fine art projects. From time to time I will invite guests to blog here in order to keep the news and views fresh and informative. Please click on the orange and white envelope icon to receive email updates. What is good communication design? Since my book, Graphic Design Exposed, was published in 2012, I’ve been asked to speak to a variety of organizations. I discuss the roll that good graphic design plays in effective visual communication. Design concepts and principles are ageless, while the need to become more proficient in using them with today’s media is ever increasing. In this blog’s next group of articles, I’ll be explaining some of the principles of good graphic design and give examples of ways to focus on the audience, improve the message, and correct common mistakes. It’s true that professionals have training and very substantial software available to them; however, everyone has the opportunity to develop and use good visual communication skills. Graphic design is an applied art. Visual creativity is used to solve a problem or achieve certain objectives, with the use of images, symbols and words. It is a partnering of visual communication and aesthetic expression. Who is our target audience or market? Who are we (clearly identify yourself or your organization)? What kind of media will be used to carry the message? 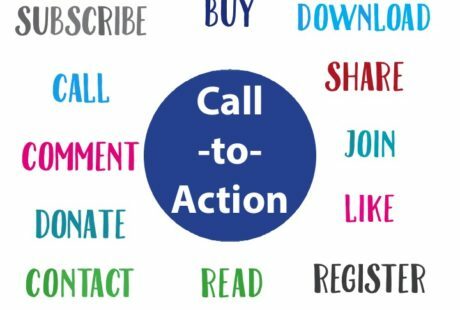 What is the primary call-to-action? What kind of results do we expect? Where is our target market? Where can we best reach members of the target audience? When should we go live or send out our communications media? When should we expect responses to our message? If having an event, when is it, where is it? Why are we communicating? Why is our message important? Why should our audience care? Continue asking questions throughout the design process. Who should have the final word on proofreading? What software will be used to create the communication piece? Where can we make changes to clarify the message and draw attention to the call-to-action? When will we decide that revisions are complete? Why am I using this font, color, photo, etc.? I am a believer in paring down a message to its most essential elements in order to avoid visual confusion and make certain that the true meaning is conveyed. Following are two of my favorite quotes. Following is an example of a graphic design piece created at its inception (Before) and the final piece after the design process (After). Please take a look at the “Before” example and try your best to list the components that need correcting before peeking at the “After” or finished design that follows it. By comparing the two designs we can see the differences and pick up some design tips. The subject of the communication piece is a special program that the organization is promoting. I’ve placed it at the top left so that it is the first item that readers see it as they begin to read. 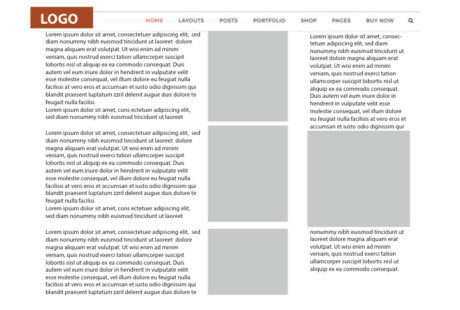 The width of the text column is much narrower than on the original. Forcing the eye to read paragraphs of text that are excessively wide causes eyestrain. A general rule is that 50 to 80 characters per line (cpl) is comfortable. Ease of reading depends upon many factors such as the background and text contrast, font characteristics, text size, and tracking (distance between letters), and leading (distance between lines). The photo of the people has been enlarged from the original. A picture can tell 1,000 words. Photos with people attract viewers and draw readers into the message. 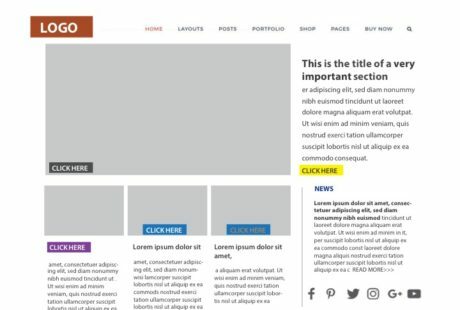 It has become commonplace for a call-to-action, organization identification and contact information to be located in the header or the footer, as you see here, of communications pieces and websites. For those of us who feel a need to be original, keep in mind that you only have moments to attract a reader and communicate a message. 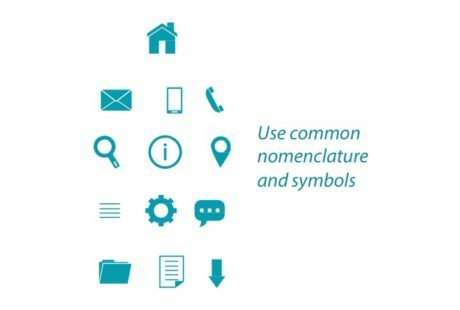 By sticking with conventional formats the message has a better chance of being conveyed because the reader knows where to find items such as a call to action and contact information. Notice please, the colors that are being used in the design. If you don’t know a great deal about color theory use the following rule: Create a color palette with several analogous colors and a neutral. 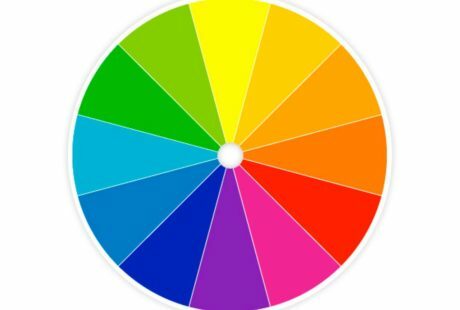 Analogous colors are those that reside close together on the color wheel. Together they create harmony and permit the message to shine through. 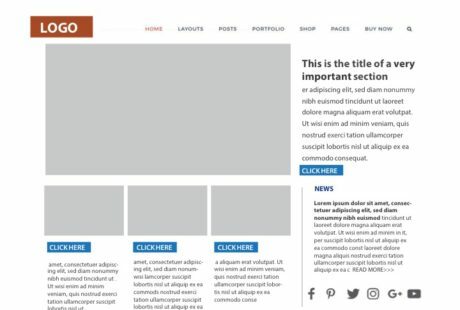 Design fundamentals are important and can take you a long way in communicating a message effectively. 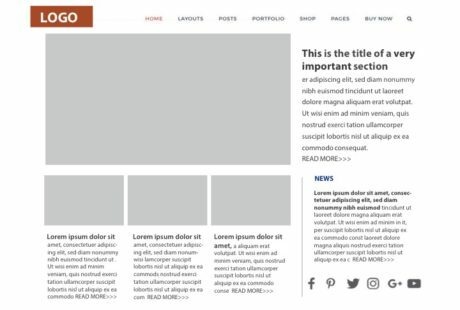 Please comment on this article in the space provided. I am happy to answer questions. I have been on hiatus from posting on Facebook and my CarenHackman.com and YogaPainter.com sites. Even though, in my professional life as a graphic designer, I do plenty of posting for others, I’ve taken some time from personal posting. It’s been a time of learning, observing and contemplating. Starting the posting break was not intentional. In retrospect, I believe that it has been a healthy experience. Having the time off to be quietly observant and learn has been a pleasurable luxury. During April and part of May I visited Israel and Prague and read several books. In Israel, I spent time enjoying my family and then traveled to Prague with them. There I learned more about Alphonse Mucha and Franz Kafka. I spent time in the Jewish quarter and learned that the well-preserved artifacts from synagogues throughout Europe were in Prague because Hitler had planned to use the city as a site for his Museum of an Extinct Race. The quarter is located where the Jewish ghetto was located beginning during the 13th century. 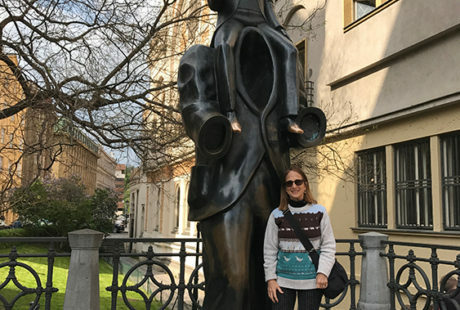 A memorial to the writer, Franz Kafka, by artist, Jaroslav Róna stands near hisbirthplace, next to the beautifully decorated Spanish Synagogue. Franz Kafka was born and lived in the Josefov section of Prague for most of his life. It is amazing how many layers of history of different religious and ethnic groups of people exist in Prague. Throughout my visit, I was treated to many fantastical folklore stories based thinly on “real” history of some of these groups of people. 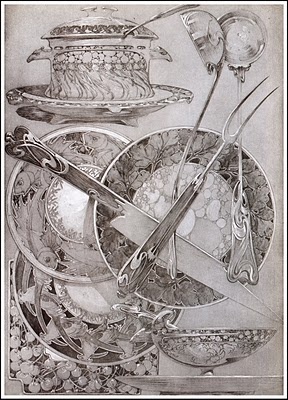 I was especially interested in seeing a progression of commercial work by Mucha because, like me, he worked as both a graphic artist and fine artist. The Art Gallery of Prague had a wonderful retrospective of his work that included the poster of Sara Bernhardt, starring in Gismonda, that brought him his first taste of fame, as well as other commercial and fine art pieces, such as his Monaco Monte Carlo poster. 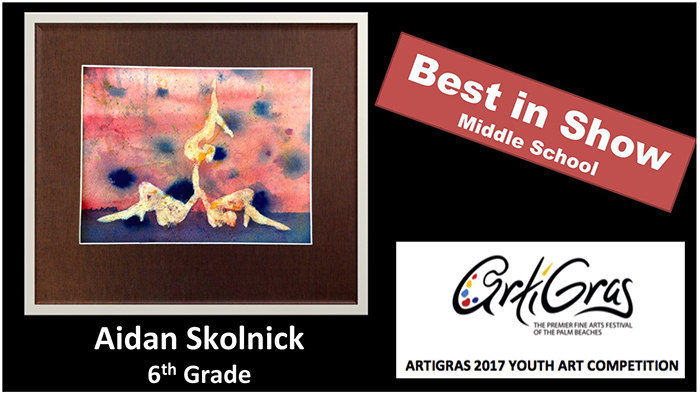 I’d like to congratulate my talented student, Aidan Skolnick for winning a Best in Show ribbon at this year’s ArtiGras festival in Jupiter, Florida. Aidan has been coming to my studio for just under two years for art lessons. I had the joy of watching this wonderful, mixed-media, piece depicting acrobats unfold over a three week period. 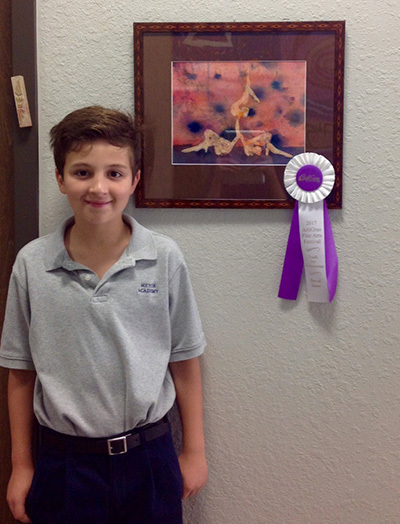 Aidan is currently working on a piece inspired by Antoni Gaudí’s nature forms. Many of you know me personally, or through my art and design work. Yoga has been an integral part of my life since November 2010. I have only recently brought these two passions together, in a personal passion project of mine. 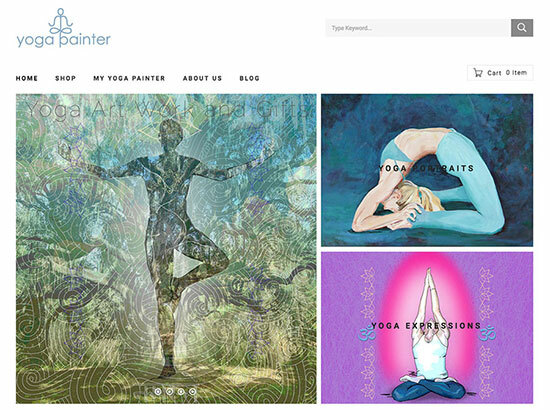 I’d like to introduce you to yogapainter.com, my online store, your source for yoga artworks and gifts. From time to time I’ll be extending special offers to newsletter subscribers and Facebook fans. Please SUBSCRIBE to the YogaPainter newsletter, than visit YogaPainter on Facebook to find out how you can win a package of note cards or a Yoga Expressions 13″ x 19″ scroll. At YogaPainter you can order Yoga Portraits, Yoga Expressions and note cards. 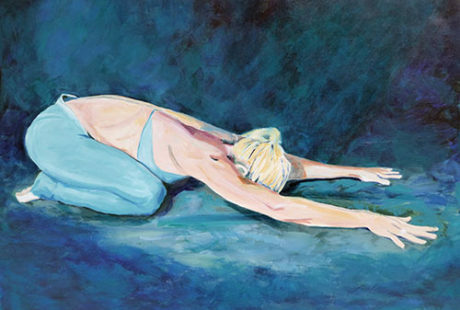 Yoga Portraits are hand painted original portraits on artist canvas. Great care is taken not only to capture likeness, but also to express the light within every painting subject. 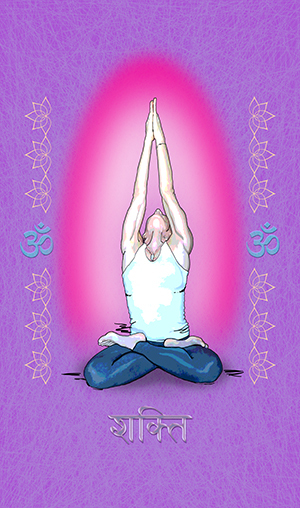 Yoga Expressions are digital paintings. Instead of using a brush directly on canvas, I draw and paint with a digital tablet and stylus. The artworks are printed with high quality archival inks on artist canvas. No two are exactly the same. Each is customized for you, either digitally, or by hand and paint brush. 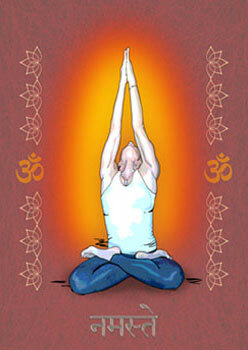 Both the Yoga Portraits and Yoga Expressions are sent to you ready-to-hang, Asian scroll style. They have wood dowelsupports along the top and bottom edges and hang from a cord. If you prefer to have the an alternative hanging method, please let me know and we’ll make every effort to accommodate you. 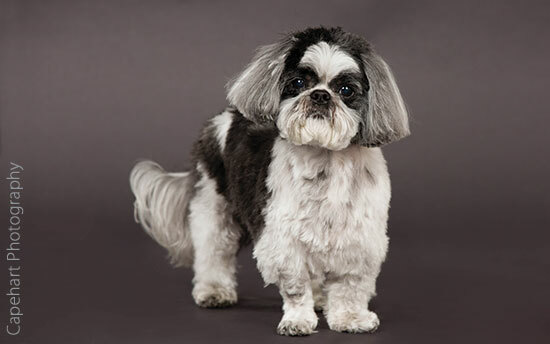 Every morning, this month, when I come to the studio to begin work, I am greeted with superlative pet photos taken by Capehart Photography. That is because I am working on the layout and design of the Publicity Hound annual magazine for Peggy Adams Animal Rescue League. What’s so special about this? 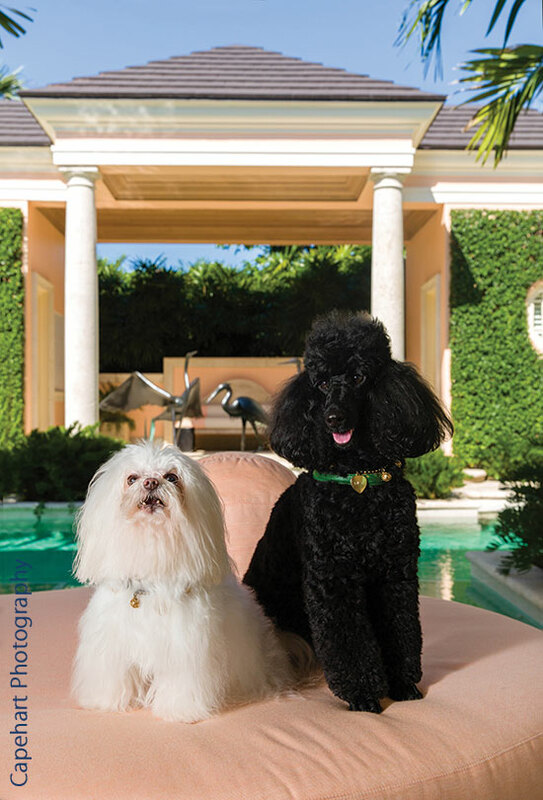 Capehart Photography is contributing the photography for the annual book! 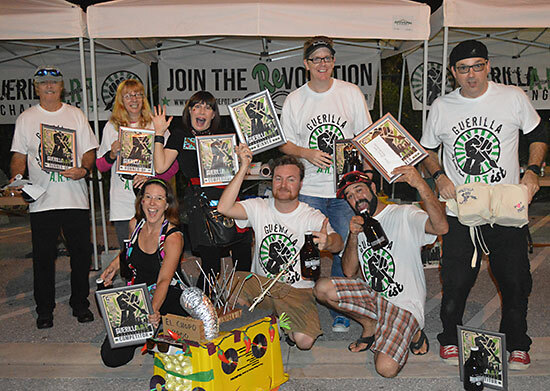 Hurry, please reserve your spot in the magazine by November 2. I’ve been on an unintentional hiatus from this blog since the summer when I had a solo show at Art on Park in Lake Park, Florida. I’ve been very busy working on so many new and fulfilling projects. In addition to wonderful graphic design clients with whom I have the pleasure of working regularly, and a trip to Europe, my yoga based artwork has been keeping me busy (and joyful). I am excited, too, that one of my yoga artwork paintings, SG Child Pose, was accepted into a show at the Art Gallery of Viera in Melbourne, Florida. In the early part of 2017, I plan to open an online store for yoga artworks and gifts. Check back here for that big announcement towards the end of 2016. 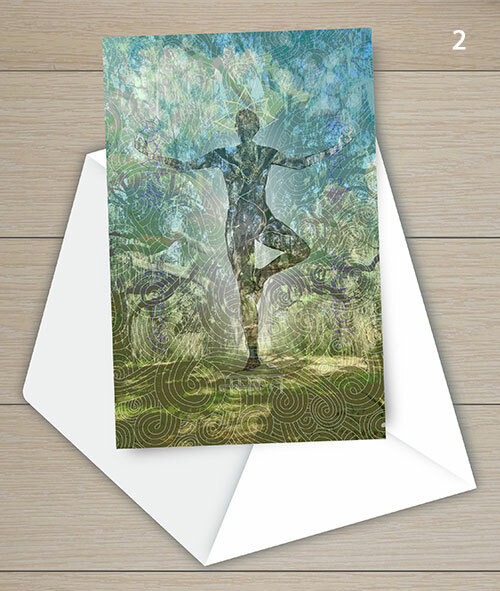 If you are interested in purchasing a pack of 6 cards for $10, please contact me directly via phone 561-622-4884 or email caren@yogapainter.com. 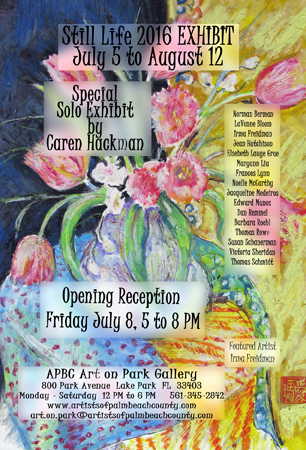 My new solo exhibit features the first gallery viewing of new yoga artwork. Artists of Palm Beach County has tapped me to judge an exhibition of still life paintings by its members. Additionally, they’ve arranged for me to have a solo exhibition area in the Art on Park Gallery from July 5 – August 12, 2016. 800 Park Avenue in Lake Park, FL. Open to all. Please come. This will be the first gallery viewing of my newest yoga paintings. Few of my projects have filled me with as much drive and energy as the “Yoga Series” and “Yoga Icons.” The yoga artwork takes two forms. One group of pieces are acrylic paintings on canvas. The brushstrokes and lighting show the energy and spirit of the asanas or yoga poses. The”Icon” suite of artwork combines digital painting and archival printing on canvas with hand embellished accents. I have coined this suite of paintings “Yoga Icons” as homage to Andy Warhol, who had a knack for depicting well-known personalities as “pop icons”. I am grateful to my wonderful yoga instructors for providing me with physical and spiritual teachings and for so graciously posing for these artworks. Being a guest columnist for The Rickie Report offers me the opportunity to satisfy my curiosity about many art related community events and institutions. My most recent assignment was to interview Jennifer O’Brien, the Executive Director of Resource Depot. Resource Depot is one of the most creative and FUN waste recycling institutions I’ve ever visited. Below is a short excerpt from my discussion with Jennifer. I asked Jennifer: What is Resource Depot and how was it started? Her response: Resource Depot is a nonprofit creative reuse center that has been serving the Palm Beach County community for more than 16 years. In 1999, several influential partners and collaborators in the community joined together to form Resource Depot. Some of those organizations are still involved today, including Children’s Services Council, Solid Waste Authority, United Way of Palm Beach County, the School District of PBC, Florida Power and Light and SunFest. We started as an educational and environmental initiative to reduce the amount of waste that was going into the landfill by diverting materials being disposed of that were still reusable. These donated materials from businesses and individuals were collected by Resource Depot and distributed to the educational community, specifically to help stretch the budgets of nonprofit organizations and teachers. Resource Depot has stayed with that mission. However, since moving to a new, larger location in 2013, in West Palm Beach, the organization has not only expanded its physical footprint, but also expanded our programs and services. Now that we are more centrally located in the county we do more than just provide materials. 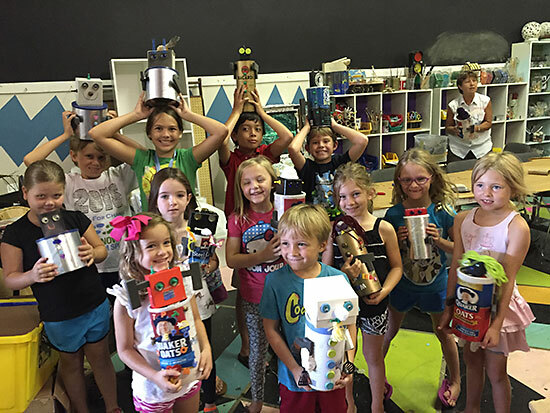 We provide DIY resources and ideas for projects, host field trips and workshops for students and families as well as show artwork of local “junk artists” in our gallery. Many people don’t realize that membership to Resource Depot is open to anyone in the community. Of course, teachers continue to shop here, as well as artists, families, home school moms and other community groups. Please click here to read the entire article and see more photos. Yoga Icons are now available as hand embellished fine art prints on canvas. Visit Yoga Palm Beach to view three pieces in person. 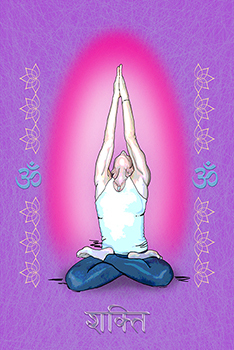 Yoga icon artworks can be ordered by sending in a contact form (CLICK HERE). The artwork can be created in the color scheme of your choice. 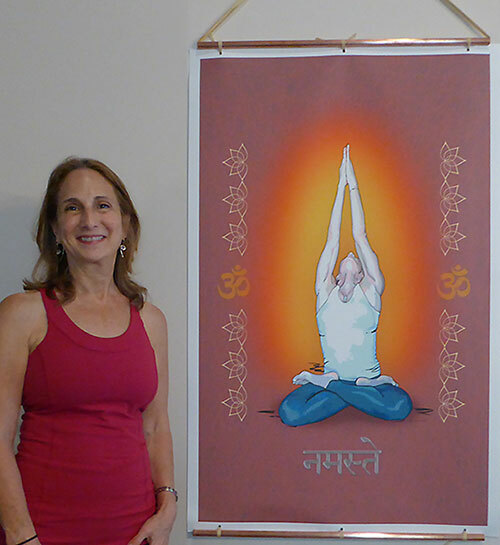 The ones on display at Yoga Palm Beach are “orange glo namaste” 44” high x 26” wide (in photo with me) and two smaller pieces that are 26” high x 13” wide and are in “orange glo-namaste” and “lavender passion shanti.” They are all ready-to-hang. Through my cousin, David Michael Hollander, artist and master yogi, I’ve been learning about the spiritual significance of the number 108 in yoga. Below are three things that I’ve learned about the significance of the number 108. According to yogic tradition, there are 108 pithas, or sacred sites, throughout India. There are 108 marma points, or sacred places of the body. Traditionally, malas, or garlands of prayer beads, come as a string of 108 beads (plus one for the “guru bead,” around which the other 108 beads turn like the planets around the sun). A mala is used for counting as you repeat a mantra. It is similar to the Catholic rosary. I’ve respected this significant number when pricing the pieces.